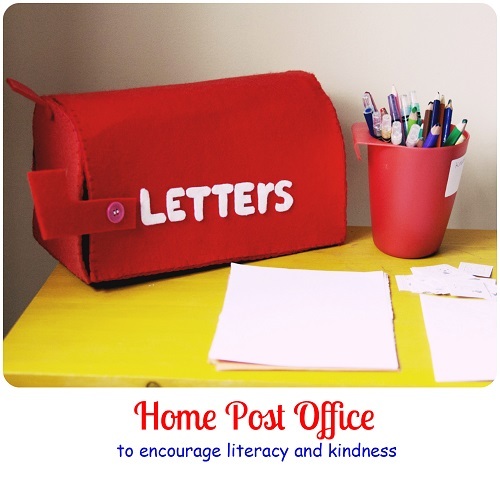 Our home post office was a simple idea to support Mr Frog's writing skills. One day he just got obsessed with writing - lists, notes, instructions.... So I set up Home Post Office. 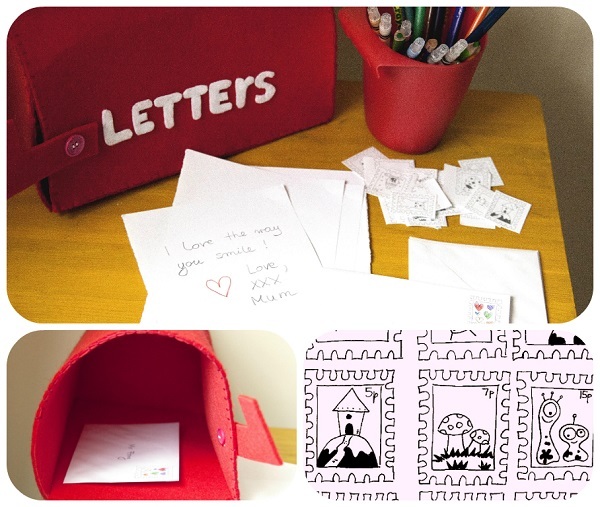 What's better than writing the letters? (and I love these American style red letter boxes, so I decided to make one...). What a fun and cute idea! My son can't write yet, but I think he'd get such a kick out of 'writing' on a piece of paper (or sticking some stickers on it) and mailing it like this :) Love it! Thanks Yuliya! I think all children love playing post office and mailing even if they don't write yet.